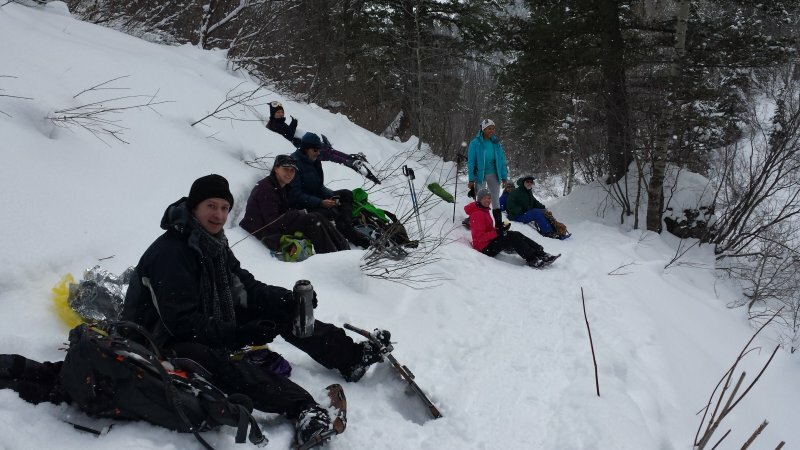 Sixteen snowshoers went up Blind Hollow: Jenifer, Eryn, Nickolai, Alex, Kathy, Jill, Alexi, Ryan, Dan, Joe, Stephanie, Monika, Greg, Amy, Gordon, and Dave P (leader). 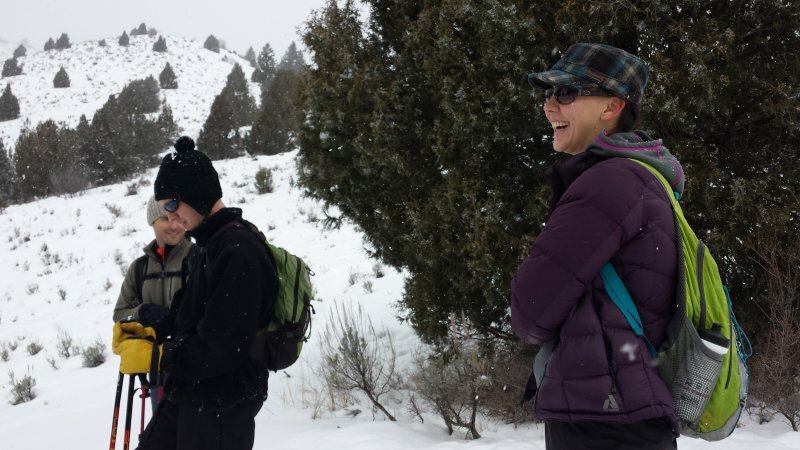 Given the large number and wide range of abilities in the group, it was no surprise that participants separated into two smaller groups as they ascended Blind Hollow. Fortunately Alex and Stephanie had walkie-talkies, so they were able to take on roles as co-leaders. 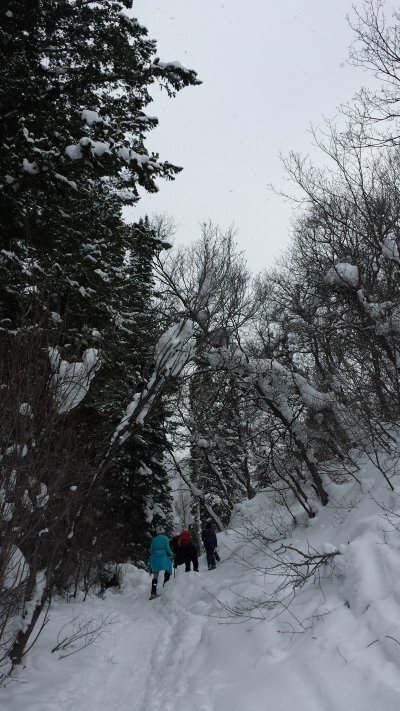 There was plenty of fresh snow on the trees and the trail, and it had been well packed by backcountry enthusiasts with wide skis on their way to the Blind Hollow yurt. 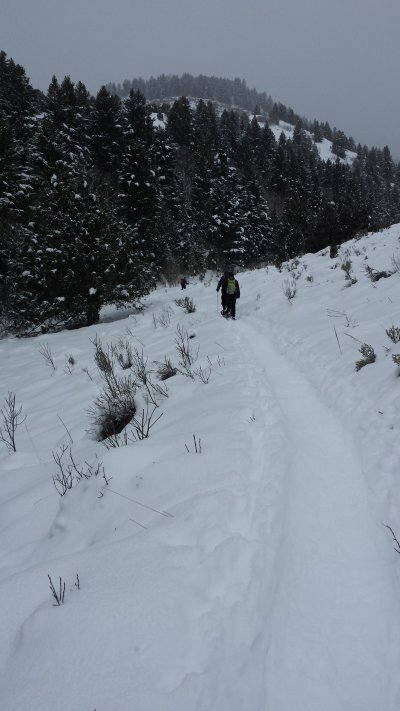 The weather was cloudy with snow flurries and the noon temperature was 27° F. Nickolai’s snowshoe binding broke but he was able to repair it with nylon cord. At noon the back group was ready for lunch, but we were not able to catch up with the front group, about 1/4 mile ahead. 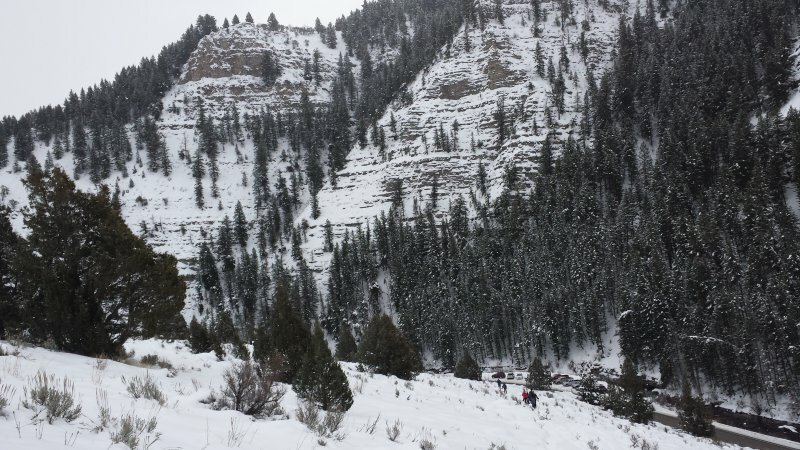 After lunch both groups rejoined for a quick return to the cars, arriving back in Logan at 2:15. Thanks for Dave P for the narrative and photos, Stephanie for photos, and Dan for photos and and the GPS work.